This year, you will find most of our pictures and projects uploaded directly to your child's digital portfolio on "SeeSaw". I have created & implemented a 4-H Technology After-School Club along with the help of Mrs. Rosemary Life (4-H Youth Educator). We host clubs every three weeks with about 23 students who are eager to learn more about technology. 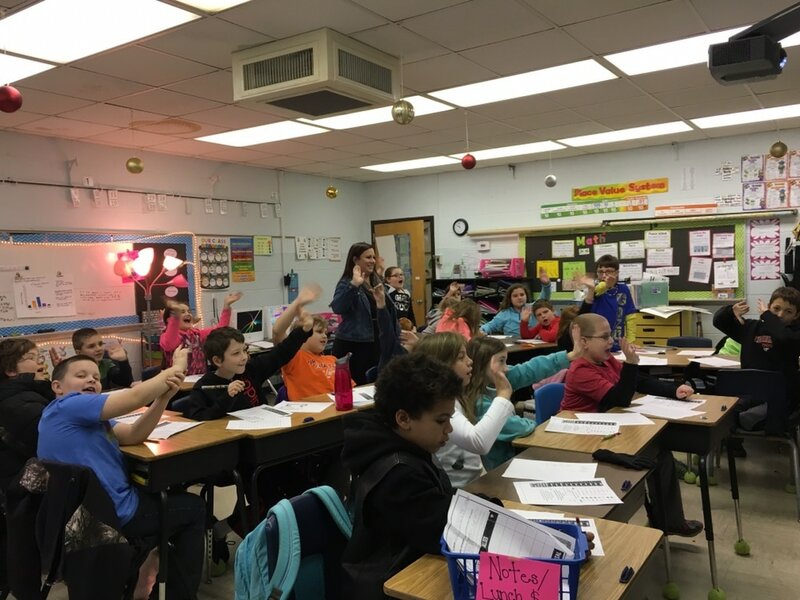 RCPS Superintendent, Carol Fenn, visited our classroom right before winter break. She even joined in on our Virtual Reality field trip to the North Pole with our VR Headsets and our stories about our holiday traditions using Book Creator. We had so much fun doing a Google Hangout video chat with a group of RCPS & Winchester principals, teachers, & ITRTs who were in a meeting at central office today. Students got the opportunity to show off some of the awesome ways they use the ipads for projects! The kids were so impressive! Scroll the the Adobe Spark Page to see our Polar Express Reading Day! Click the button below to go to a Padlet about 4th grade memories. Add at least 4 sentences about your favorite memories from 4th grade! 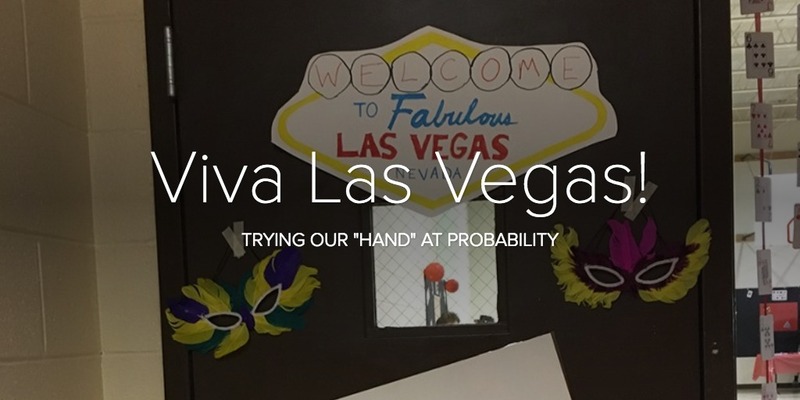 Check out our trip to "Las Vegas" to learn about Probability while trying our "hand" at some Casino games! Click on the picture below to see more photos! Check out the video (starring several of the students) that was presented at the RCPS School Board meeting March 22, 2016! I recently had the opportunity to present 2 sessions at the RCPS Tech Toolkit Academy Feb. 2016. I presented to fellow teachers and administration on two of my favorite apps that we use in our classroom: Aurasma & Educreations. I had so much fun collaborating with fellow teachers on how technology is transforming the resources available for students. Below are the handouts & Prezi presentations I created on each app. 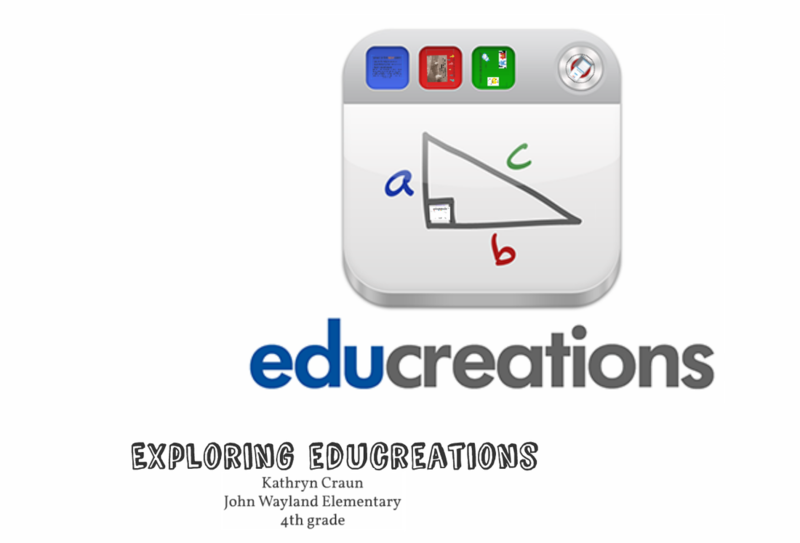 Click on the picture below to go to my Prezi on Educreations. 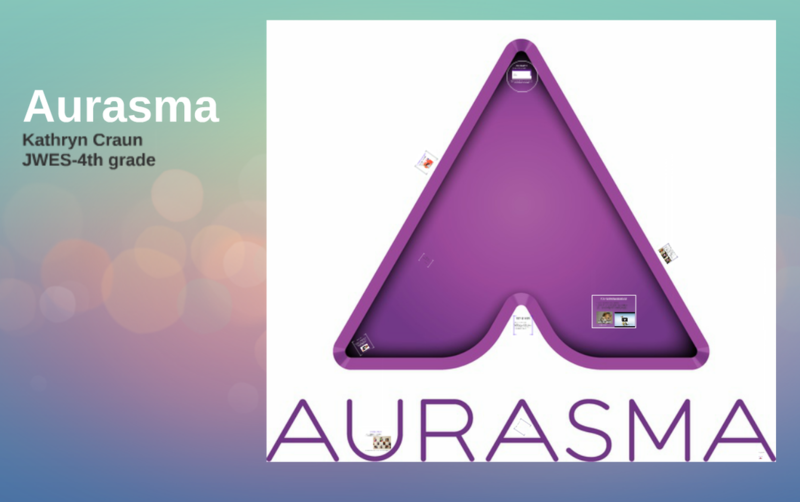 Click on the picture below to go to my Prezi on Aurasma. ​Below is a ThingLink about our 2014-2015 field trip to the Frontier Culture Museum.